Milorad Borota is the founder, managing director and principal consultant at MB MIGRATION SERVICES (CANADA) INC. He is a Regulated Canadian Immigration Consultant (RCIC) with ICCRC Registration Number R408031. 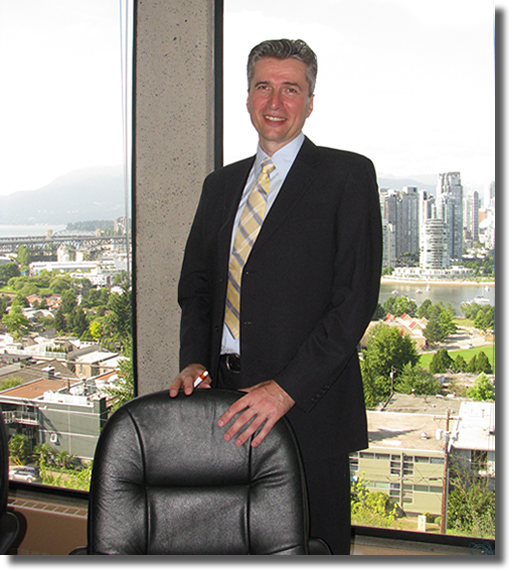 After obtaining formal education in the field of psychology (4 years) and social work (2 years) in former Yugoslavia Mr. Borota graduated from Ashton College Immigration Consultant Diploma program in March of 2011, in Vancouver, Canada. He is fluent in English and Serbo-Croatian; he also speaks some Russian, French and Chinese (Mandarin). Mr. Borota moved to Vancouver (Canada) in 1997 and started working as an Employment and Assistance Worker with the Ministry of Social Development in 1998. Ministry of Social Development is part of the Government of the province of British Columbia in Canada. Working as an Employment and Assistance Worker for over 12 years Milorad acquired experience in working with clients with diverse ethnic background: both immigrants and native born Canadians. Considerable number of his clients have been refugees, refugee claimants and immigrants who came to Canada in all other immigration categories. By working for the provincial government Milorad has gained insight and understanding how Canadian (provincial) government works and what are the most efficient ways for clients to exercise their legal rights. In June of 2011 Milorad Borota became a Regulated Canadian Immigration Consultant and started working as an immigration consultant. MB MIGRATION SERVICES (CANADA) INC. (abbreviated as MB MIGRATION) is a Canadian immigration consulting company incorporated with Industry Canada in accordance with the Canada Business Corporations Act. The same company is incorporated in the province of British Columbia as well. Company headquarters are in Vancouver, British Columbia, Canada. What services does MB MIGRATION provide? Client representation in their dealings with the Citizenship and Immigration Canada (CIC), Immigration and Refugee Board of Canada (IRB) and the Canada Border Services Agency (CBSA). Providing realistic, in-depth assessments of clients' chances of being approved for a Canadian visa in different immigration categories. Completing and/or proofreading immigration application forms on behalf of the clients. Providing suggestions what supporting documents to submit with their application forms. Preparing clients for their interviews with the visa officers. Students. Helping students enroll in educational programs in Canada (obtaining Letter of Acceptance) and applying for Study Permits. Temporary Workers. Helping clients obtain LMO (or AEO) and assistance with their application for Work Permit. Business immigrants. Assisting clients with application forms, supporting documents and business plans (if needed). Family sponsorship applications, Refugee claims, Appeals... For more detailed list of services please go to MB MIGRATION web site. Contact Form We will respond to all messages within 24 hours whenever possible. You may have some general questions or very specific questions about Canada and immigration to Canada - either way feel free to contact us and we will do our best to answer all your questions in the shortest time possible. If you live outside Canada you can contact us via Skype or Google Talk, our user name is mbmigration for both. © 2011 MB MIGRATION SERVICES (CANADA) INC. All Rights Reserved.